Nick’s career as a stand-up got off to a pretty good start, whilst still a student, Nick supported Bill Hicks on his final tour of the UK…Bill himself had requested Nick. Since then Nick has become a familiar face on the comedy circuit. As well as gigging regularly all over the UK, Nick has also performed in Ireland, Germany, Spain, France and Croatia. Nick is also in demand as a writer for both television and radio, writing for the likes of ‘THE SECRET POLICEMAN’S BALL’, the Sony Award winning ‘ARMANDO IANNUCCI’S CHARM OFFENSIVE’ and ‘THE NOW SHOW’ for Radio 4. Cult animation series ‘EMPIRE SQUARE’, BBC4’s ‘LATE EDITION’, Channel 4’s ‘FAQ U’, ‘8 OUT OF 10 CATS’ and ‘FRIDAY NIGHT PROJECT’ and ITV2’s ‘LIP SERVICE’ and More4’s ‘LAST WORD’. Most recent writing projects include BBC’s ‘NEVER SEEN STAR WARS’, ITV’s ‘ONE NIGHT ONLY’ and E4’s ‘RUDE TUBE’. He also devised and wrote the hit Radio 4 series ‘BIGIPEDIA’ which has recently had a second series confirmed. Nick’s radio and TV credits as a performer include contributing to shows such as BBC2’s ‘COMEDY MAP OF BRITAIN’, ITV2’s ‘COMEDY CUTS’, Radio 4’s ’28 ACTS IN 28 MINUTES’, ‘THE MARK THOMAS COMEDY PROJECT’ on Channel 4, Radio 4’s ‘POLITICAL ANIMAL and THE NOW SHOW, and BBC3’s ‘COMIC SIDE OF 7 DAYS’. 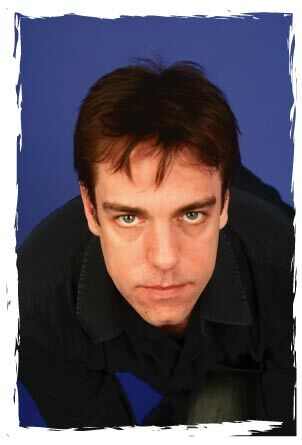 Since 2006 Nick has been a regular at the Edinburgh Festival performing his solo shows. These have been met with critical acclaim and have led to him going on to perform sell-out shows at the Glasgow Comedy Festival and Soho Theatre in London’s West End. He was also invited to perform at London’s Leicester Square Theatre as part of THE BIG JOKE FESTIVAL. As well as writing for comedy Nick has been commissioned to write a book on Chess (one of his passions) with Grand Master Jonathan Tisdall.